A Pennsylvania Gerrymander or Not? Feb. 4, 2019 — As more final voting data becomes available about the 2018 electoral patterns, new local analysis articles are being distributed that allow us to better understand why the results unfolded as they did. Emily Previti published a piece for Pennsylvania’s Keystone Crossroads media site at the end of last week that details just how the congressional outcome might have changed if the state Supreme Court had not altered the Pennsylvania federal map. The Pennsylvania high court ruled about a year before the last election that the 2011 redistricting legislative package was a political gerrymander in relation to the state’s constitution. The court then instituted new boundaries for the 2018 and 2020 elections, designed to bridge the gap until the next census, reapportionment, and redistricting processes begin again. The court majority reasoned that the previous congressional map routinely yielding a 13R-5D congressional result was out of sync with a statewide electorate that usually favors Democrats, among other reasons. Yet, according to the Previti article, such may not have been the case. Click on above map to see full story and interactive map at the Keystone Crossroads media site. After overlaying the new court-imposed 18-district congressional map (above) that returned a 9R-9D result from the previous 12R-6D delegation split (the division changed when Democrat Conor Lamb won an early 2018 special election in a previously Republican 18th CD), Previti concludes that the same 9-9 split we see today may well have occurred even under the previous map. Sept. 3, 2018 — Last week, the same three-judge panel that previously ruled the North Carolina congressional boundaries as unconstitutional did so again, well after the lines were re-drawn in 2016 to reflect one of their previous decisions. Predictably, the two Democratic judges ruled to overturn the legislature’s map once again, with the lone Republican dissenting. This time, the ruling concerns political gerrymandering, after the panel originally tossed the map because of what they cited as “racial gerrymandering.” The North Carolina delegation has split 10R-3D since the original 2011 map was created after the 2010 census. The latest action, coming at a time when the US Supreme Court has only eight members because Judge Brett Kavanaugh has not yet been confirmed to replace retired Justice Anthony Kennedy, could stand if the high court fails to halt or invalidate the ruling. If the decision remains, it becomes very unclear as to how the election would proceed. If the lines are suddenly unconstitutional, a new map would have to be set in its place. At this point, it is probable that the court would usurp the state legislature’s constitutional power and force its own map into law. What happens to the candidates who won the May primaries, or even lost, as in the case of Rep. Bob Pittenger (R-Charlotte), remains in flux. It is likely many lawsuits would be filed, likely from candidates who won primaries but were denied the chance of running in the subsequent general election, to voters who would be disenfranchised after voting for a candidate who, after being nominated, no longer appears on the ballot because the particular voter has been arbitrarily shifted to another district, and every argument in between. June 20, 2018 — The United States Supreme Court issued their long-awaited ruling on the Wisconsin political gerrymandering case on Monday, and it basically sends the parties back to the drawing board. 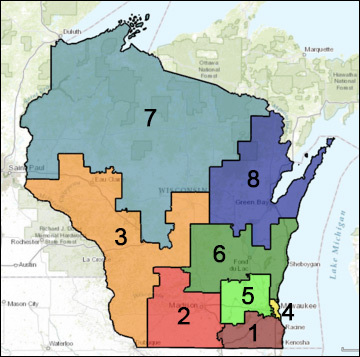 At one time it was thought that Wisconsin was the vehicle for the high court to issue a definitive ruling regarding political gerrymandering, which continues to be the subject of many live redistricting lawsuits. Instead, on a rare 9-0 vote, the Supreme Court ruled that the plaintiffs did not have the necessary standing to bring the action. The plaintiffs came from four Wisconsin Assembly districts who claimed they were personally harmed by the state legislative boundaries the legislature and governor adopted back in 2011. The court ruled that such plaintiffs did not have adequate standing to bring a statewide lawsuit. The court did issue some orders, however, that will make later political gerrymandering suits more difficult to bring because certain technical standards must now be met in future action. As part of the plaintiffs’ standing ruling, the justices vacated the lower court ruling that ordered the state assembly districts re-drawn. It is now likely that political boundaries around the country are finally set for the 2018 election. 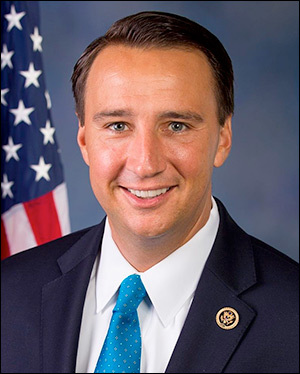 March 29, 2018 — It appears that Pennsylvania Rep. Ryan Costello (R-West Chester) is turning over a projected swing 2018 electoral seat in PA-6 to the Democrats without so much as a fight. Doing so will reduce the net number of Democratic majority conversion seats from the current 24 to 23. The two-term Philadelphia suburban representative informed Keystone State Republican leaders on Tuesday that he will remove his name from the ballot and not run for re-election. Yesterday was the final day for Pennsylvania candidates to withdraw before the primary ballots become permanent. The major issue for Republican leaders with this belated move is that the candidate filing deadline already has passed, and another Republican has qualified for the ballot. Attorney Greg McCauley filed his candidate documents and presented the proper number of ballot petition signatures. Therefore, as the only Republican who was running opposite Costello in the GOP primary, it is likely that this obscure challenger will now be unopposed for the party nomination. McCauley has a credible resume but has never run for public office, and is not viewed as a top-tier candidate for an impending campaign in a highly competitive district such as PA-6.